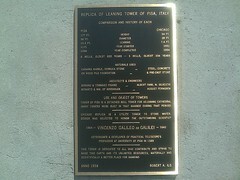 The Leaning Tower of Niles, Illinois was completed in 1934 and it is situated at 6300 W. Touhy Avenue. 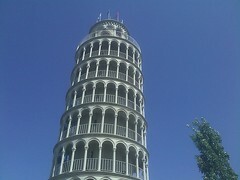 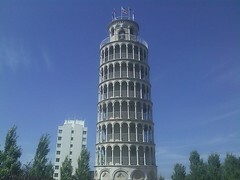 It is a 1/2 size copy of the original tower in Pisa, Italy, which is a Niles sister city. 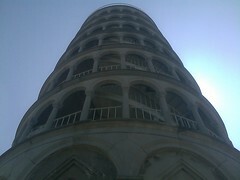 Some speculate that part of the motivation to construct the tower was to celebrate the 600th anniversary of the Leaning Tower of Pisa. 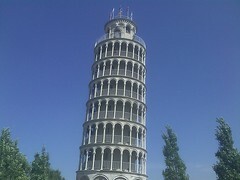 A more likely explanation is its original functional purpose, to store water for outdoor recreational swimming pools. 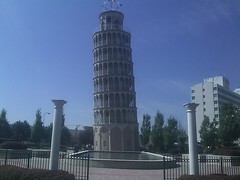 In 1991, the village of Niles, Illinois established a sister city pact with Pisa, Italy. 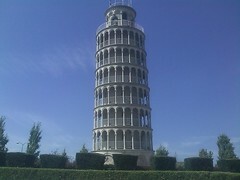 A $1.2 million Renovation of the Leaning Tower of Niles was started in 1995. 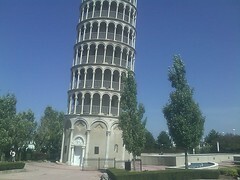 The Leaning Tower Plaza area now has four fountains and a 30-foot pool. 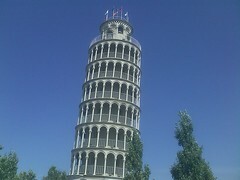 Leaning Tower Concert Series are summertime open-air music concerts sponsored by the village since the 1990s.